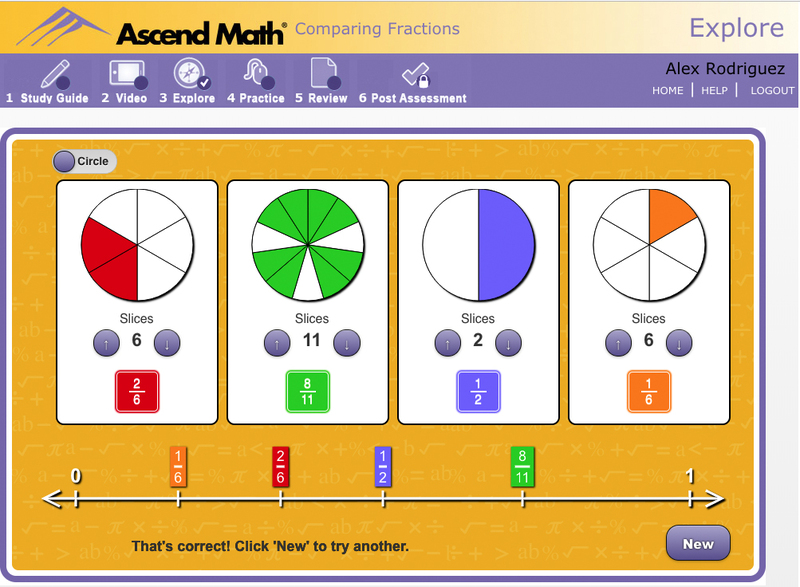 Ascend Math offers the most award-winning online instruction and multi-modal learning of any math intervention program. Students learn best when they are engaged. That’s why every instructional video and online exploration in Ascend is interactive. Ascend includes more than 550 distinct video lessons with thousands of points of interactivity that support step-wise learning and encourage students to write about math consistent with today’s rigorous state standards. 1. Student takes a pre-assessment that prescribes an individualized learning plan. 2. Opens and prints out the study guide. 3. Views and interacts with the video lesson writing responses and completing the problems in the study guide. 4. 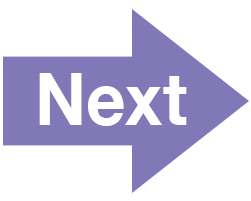 Engages in an interactive exploration learning an additional approach to understanding the objective. 5. Takes a practice test that includes additional instructional help. 6. 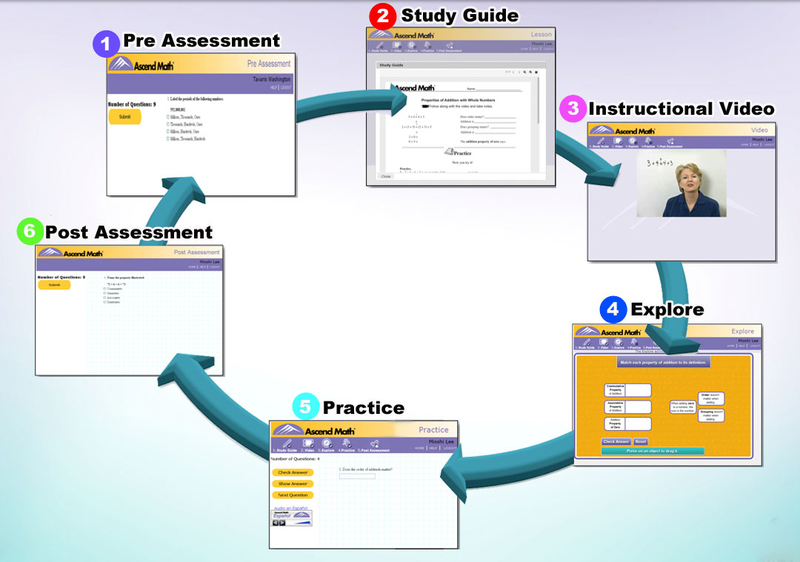 After completing each of these learning activities, the post-assessment will unlock. Student shows mastery and is automatically guided to the next objective in a logical math sequence. Try the Student Experience for yourself! 1. Choose any objective listed by clicking on it. 2. Next follow the sequence of activities listed above just as the student would. 3. Watch the entire video to experience all the interactivity. 4. Notice how both conceptual and algorithmic approaches are included. 5. Take advantage of the assistance offered in the practice test. PROGRESS MONITORING reports and real-time data enhance instructional decisions.